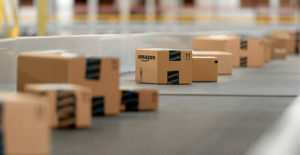 Every day, Anglia Freight ships directly into any of Amazon’s twelve fulfilment centres across the UK. As part of Palletline, we are proud to be one of Amazon’s preferred shipping suppliers. Whether you have a regular consignment or something more ad hoc that needs urgent delivery, we can manage it for you. We book it in for you. You avoid haulier non-compliance fines. We check everything runs smoothly and on time, so you don’t have to worry! Complete the order process until you get an ASN or FBA code. Please keep this safe as we need this to deliver your goods into Amazon! Please do not book your own individual delivery slot. We deliver through consolidated trailers and cannot service individual slots during the day. Amazon will also tell you when your delivery window is. This is your delivery window when your items need to be with Amazon. Goods can be delivered at any time within this window and it is your responsibility to book a delivery with us that arrives during this window. Book Anglia Freight to collect your goods. Tell us when they need to be with Amazon and choose one of our services (24, 48 or 72 hours) which best fits your delivery window. We book your delivery into Amazon. Finally, we’ll collect your goods, take them back to our warehouse and consolidate them with the rest of our Amazon. deliveries. They will be shipped to one of the Amazon fulfilment centres overnight and will arrive exactly on time.